Ubcoin Market is a project dveloped by the Ubank team. This company has been operating since 2009 and already has many specific developments. So, by 2011 mobile applications NaviFon (navigation), and Utalk (messenger) have already been launched. In 2013-2014, launched a mobile application Ubank, which includes a variety of payment services. It is more focused on the Russian market. For all time of activity, the company has concluded a number of contracts with many banks that provide cash flow, since Ubank is not a bank. Also, there are agreements with companies such as Sumsung, Fly, Huawei on placing the above mentioned applications in the phones of these companies by default. 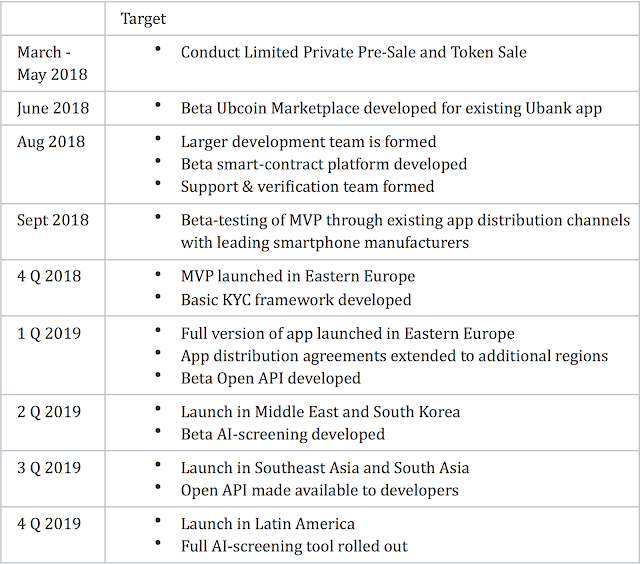 Ubcoin is a mobile application with the help of which users can both sell and buy different goods using crypto currency, namely, using the internal tokens of this application - UBC. In fact, it will be a trading platform, which provides for the creation of comfortable conditions for both buyers and sellers. For each of them, there will be available convenient functions and tools, such as tools for promoting ads and targeting; Ad statistics (views, clicks, conversions, reviews, etc.) and purchase statistics; sales and payment management screens; the mechanism of intellectual recommendations, based on previous searches and purchase history; purchase control tools. The minimum of intermediaries. 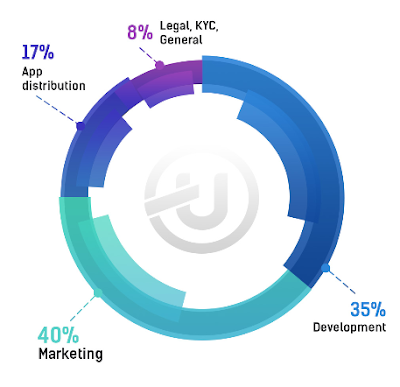 With the help of the application, the number of participants participating in the sales process is minimized as much as possible. Now this process happens P2P, according to the terms of the smart contract. Legal security. The company takes maximum measures for the legitimacy of goods and services on the Ubcoin market. Profiles of sellers will be checked, and any potential violations will be excluded. Decentralization. The appendix provides that the initiation, settlement and execution of transactions will be recorded in the block. Thus, all the necessary information will always be available, and, very importantly, no one can change it. Interface. The interior of the application is designed taking into account the best world trends, and is designed to create the most convenient conditions for both the seller and the buyer. In the future, Ubcoin will be integrated into the already existing Ubank application. The UBC token (created on the blockchain Ethtereum) will be the only used currency on the Ubcoin market. Neither the tools nor any other tokens will be used on this platform. Also a thoughtful system of encouragement for holders of UBC tokens: depending on the number of these tokens on the user's account, he will be offered all sorts of discounts. It is envisaged that with the help of the reserve fund, the team will be able to prevent speculation in the market with respect to the UBC tokens, and keep its course. Another solution will also be implemented, which will help to strengthen the price of the token, namely, burning 5% of the commissions of all transactions on the platform.